the Royal Welch Fusiliers in America. It is with sadness and regret that we mark the of the passing away of Lonnie Wetherington on Wednesday, 17 May 2006. 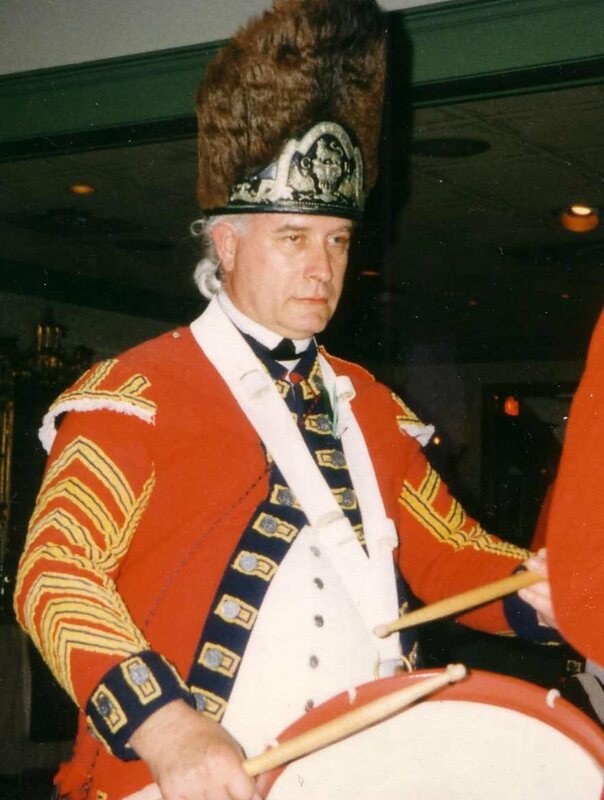 Lonnie was one of the earliest members of our regiment and all of us who were privileged to know him remember him as a true gentleman, a great friend, and a fine fusilier both as a man in ranks and a drummer. In keeping with both our tradition, and regimental policy when we lose a member of long standing, the regiment observed a period of mourning. This included the wearing of a black armband on our uniforms at events from June through the end of July, and there was a memorial ceremony at Pound Ridge in late, July. Armbands were be provided by RHQ at Greenspring and Pound Ridge. We draped our drums for the ceremony at Pound Ridge. Company Commanders were asked to provide the same at any local events during this time period. his strength in the face of adversity.